Tamil group Thamizhaga Vazhvumurai Katchi (TVK), led by T Velmurugan, has issued a veiled threat, stating that it will not be responsible for any untoward incident against the cricketers. Various Tamil groups protesting over the Cauvery issue on Monday demanded that the authorities cancel the Indian Premier League (IPL) match to be held in Chennai on Tuesday. At a time when the police are busy making arrangements to secure all roads leading to M A Chidambaram stadium and screening of spectators, apprehending protests, Tamil group Thamizhaga Vazhvumurai Katchi (TVK), led by T Velmurugan, has issued a veiled threat, stating that it will not be responsible for any untoward incident against the cricketers. Demanding cancellation of the match, Velmurugan said the IPL players should understand that Tamil people are upset over the Cauvery issue. “When we are fighting for our basic rights, we don’t want this to take place here,” he said. 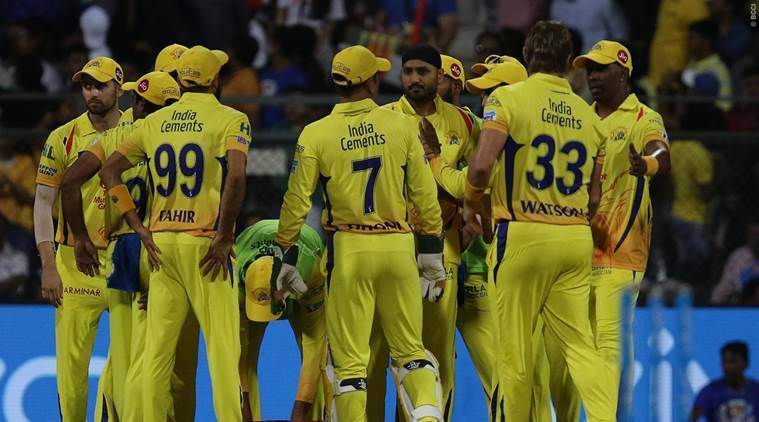 Velmurugan said his outfit will not be responsible if something happens to the players when they are out for sight-seeing or shopping during their stay in Chennai. His statement has come a day after actor-turned-politician Rajinikanth appealed to all players of Chennai Super Kings to wear a black badge to show their support to the Cauvery cause. A day after Tamil film actors staged a protest over the Cauvery issue, Tamil film directors Monday called for a boycott of IPL matches to express solidarity with the state’s farmers. Veteran director Bharathiraja lashed out at the Board of Control for Cricket in India for not considering the ongoing protests on the Cauvery issue and said the IPL match was aimed at “distracting” the minds of Tamil youth from their “struggles”. “Holding IPL here at this point is like organising a celebration during a death,” Bharathiraja said. The MA Chidambaram stadium at Chepauk, which is scheduled to host seven matches in this IPL season, has issued a list of guidelines for spectators who turn up for the match on Tuesday. One of the regulations released through media said the use of mobile phones, transistors, computers, cameras, or any other audio visual recording equipment, for recording and or communication of match details, statistics, images etc. are strictly prohibited. A Tamil Nadu Cricket Association official claimed that the guidelines are not “unusual”. “All ticket holders will be subject to security checks/frisking and should cooperate with Chennai Police and Security Guards,” the official said.